A £50 non returnable deposit is required to secure holiday plus a £100 returnable bond on top of advertised price. Bond refunded within 7 days of caravan been inspected. Balance is due 6 weeks before the start of your holiday. 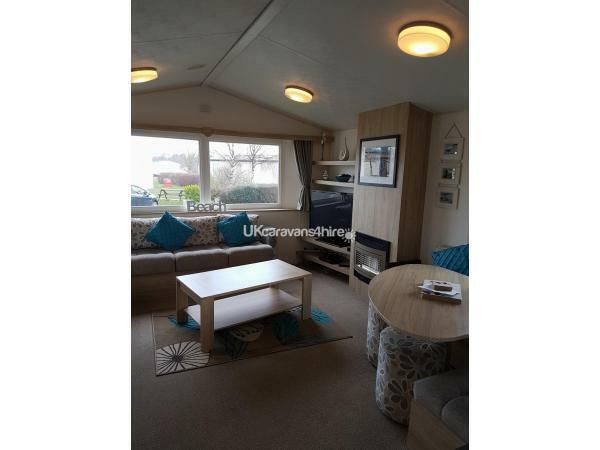 Situated on Cedar Vale in a nice quiet cul-de-sac our caravan is the perfect caravan for couples or families. 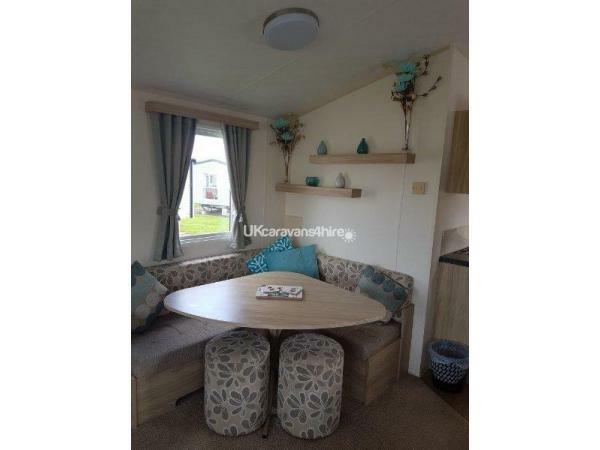 The caravan consists of one double bedroom with a large wardrobe and television. and two twin bedrooms both with wardrobes. One of the twin bedrooms has a television with built in DVD player. All bedrooms have blown heating. The caravan is also equipped with a travel cot. Could you please let me know in advance if you will be requiring this. 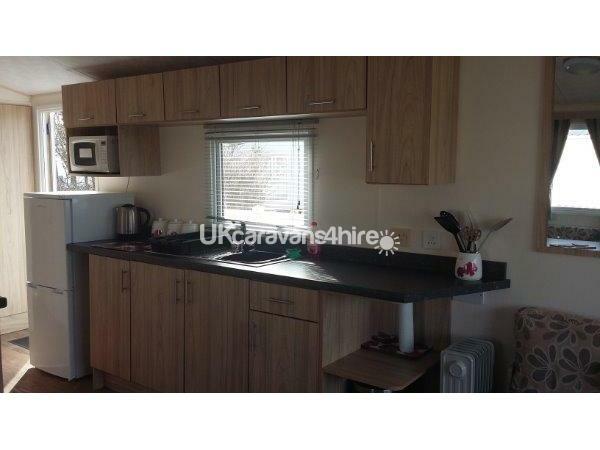 The kitchen is fully equipped with a gas oven,microwave,kettle,toaster and fridge freezer. All cutlery, crockery, plates, pots and pans are supplied. The caravan also has a iron and a ironing board. Tea and coffee is provided. The spacious lounge has adequate seating, large flat screen television with freeview and a DVD player. Sky TV is also available but you will need to bring your own sky box including your HDMI and power leads. There is a dining table, gas fire and two extra electric oil heaters. 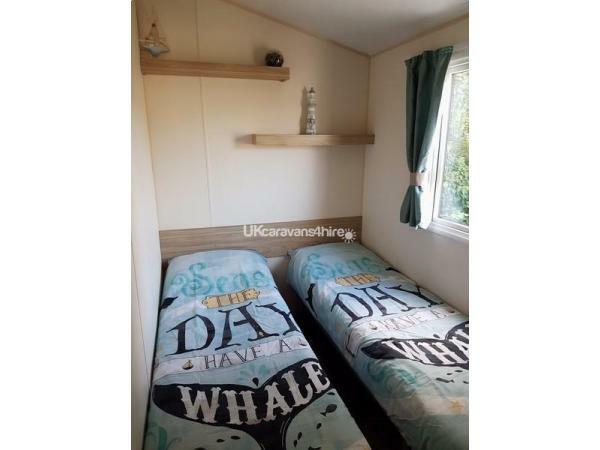 The caravan has two bathrooms one with a decent size shower cubicle and heated towel rail,toilet and basin. The other bathroom has a toilet and basin. 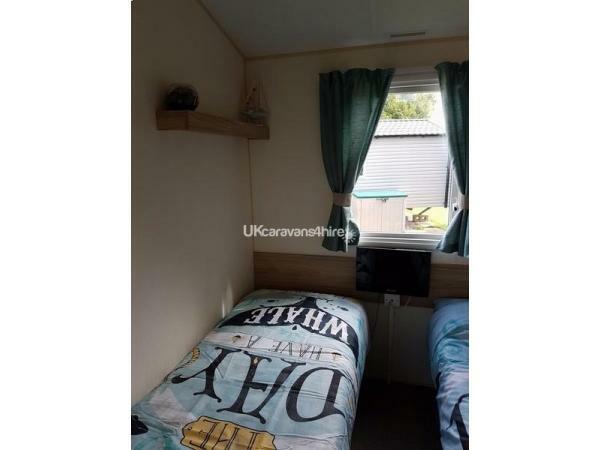 NO SMOKING IN THE CARAVAN, IF FOUND TO HAVE DONE SO UPON INSPECTION YOUR BOND WILL NOT BE REFUNDED. No Barbecues on the veranda. Could we please ask that you arrive no earlier than 2pm and leave no later than 10am. Additional Info: Some of the above do require an additional charge. Just spent a week at Primrose Valley with my wife and 1 year old granddaughter. The caravan was perfect for our needs. From the moment we spoke to Kelly She was helpful and very accommodating and sorted the travel cot in one of the bedrooms. 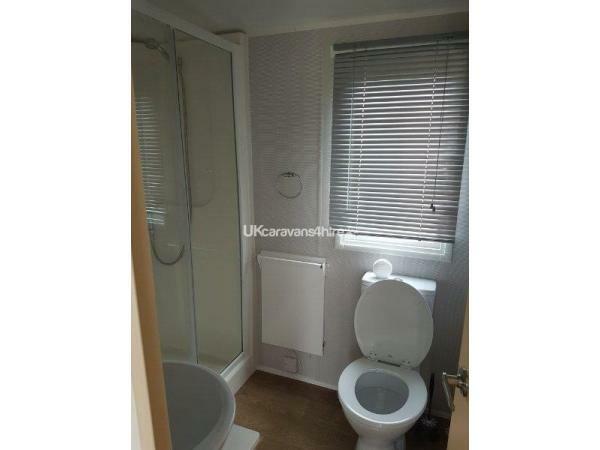 The caravan was comfortable and spotlessly clean. If Kelly will allow we will certainly book again, hopefully when the weather is warmer to make use of the lovely decked area outside. Thanks Kelly. Thank you for looking after our holiday home you are welcome back anytime. 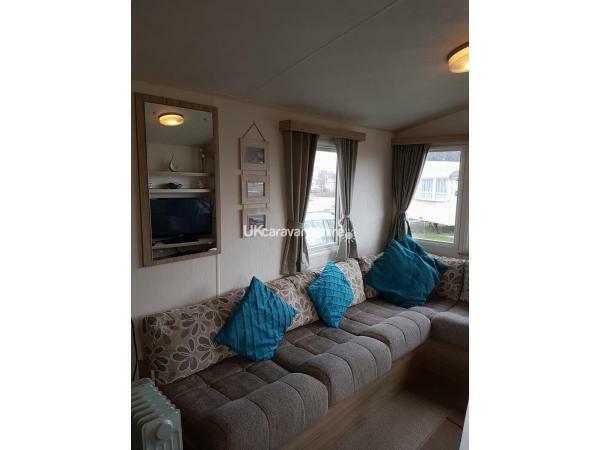 THE CARAVAN IS LOVELY AND IN AN IDEAL QUIET LOCATION HALFWAY BETWEEN THE MAIN AREA AND THE NEW LAKESIDE (ATE THERE AND ENJOYED OUR MEAL, GIVE MASH & BARREL A MISS). IF YOU GO TO THE BEACH MAKE SURE YOU TAKE EVERYTHING WITH YOU AS IT IS BIT OF A WALK FROM THE CARAVAN SHOULD YOU FORGET SOMETHING. EVERYTHING IS PROVIDED THAT YOU COULD POSSIBLY NEED IN THE KITCHEN - JUST BRING TOWELS AND STOCK UP AT THE TESCO IN FILEY. EVEN HAD CHAIRS TO TAKE TO THE BEACH AND FISHING NETS. WE HAD TEENAGERS AS WELL AS A TODDLER AND WE HAD ENOUGH ROOM WITHOUT GETTING UNDER EACH OTHERS FEET. 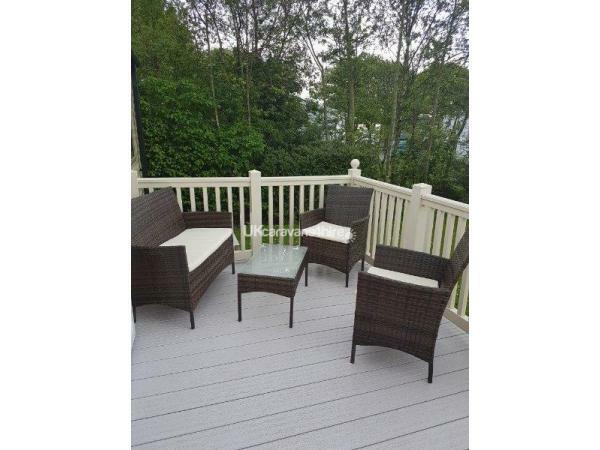 THE VERANDA IS VERY SAFE FOR YOUNG CHILDREN TO PLAY AS IT CAN BE LOCKED AND IS IN THE SUNSHINE LATER IN THE DAY. KELLY WAS ALWAYS AVAILABLE TO ANSWER ANY QUERIES AND MADE THE BOOKING EXPERIENCE VERY EASY. WOULD CERTAINLY BOOK THIS CARAVAN AGAIN SHOULD WE RETURN. THANKS VERY MUCH. Thank you for your lovely feed back should you decide to come back you and your family are more than welcome. Thank you for your lovely review you and your family are welcome back anytime. 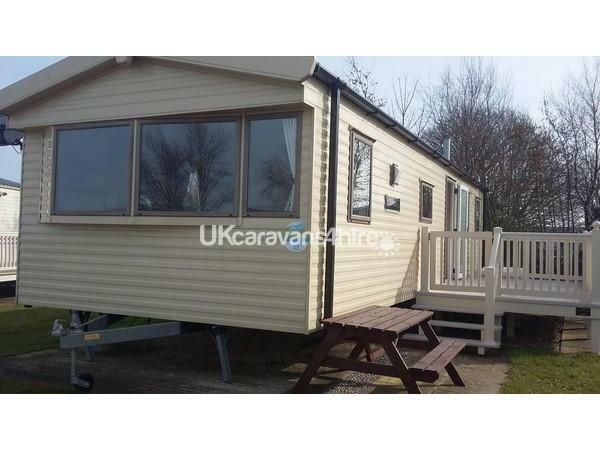 We had a great holiday i would definitely recommend this caravan it was very quite area, close to the main complexes. 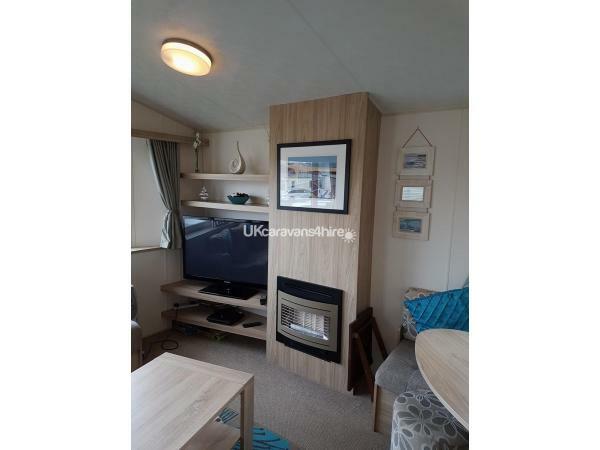 The owner was very helpful and communication was good ,the caravan was very clean and had everything we needed i would book this caravan again if i decided to go next year . Thank you for you kind review hope to hear from you in the future. Thank you very much for your kind review, hope to hear from you again in the future. Thank you for your kind review you are welcome anytime. 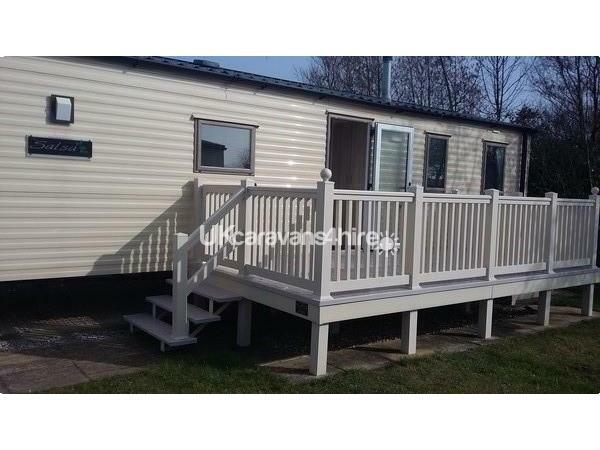 Would definitely recommend this caravan very suitable for young children with having the veranda and in a nice quiet area on site and not far from the main complexes. 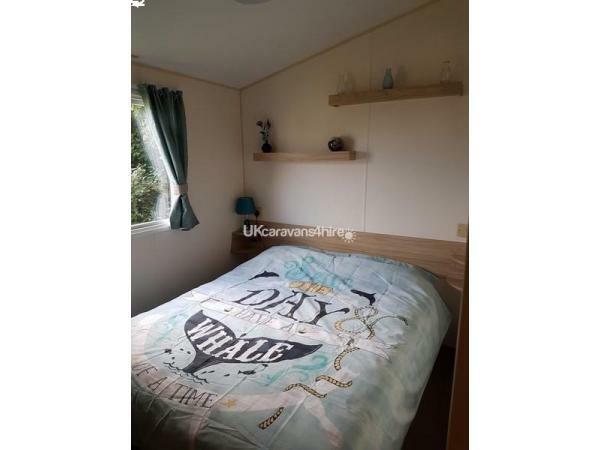 Thank you for letting us stay at your caravan! Thank you for your lovely review glad you enjoyed your stay. We had a great holiday, caravan was excellent, clean and well presented. Great that cleaning materials (washing-up Liquid, bin bags) were provided. Situated in nice quiet cul-de-sac, but all facilities within walking distance. Did purchase club passes, but found we didn't really use them, so considered what you wish to do before purchasing. Owner was friendly and helpful with the deposit being refunded quickly. Would recommend. Thank you very much for your lovely review you are welcome back anytime.